My interest in medieval coins started with the acquisition of a group of pennies and a couple of groats from a publican in Lancashire, writes coin expert Ed Archer. That was back in the late 1960s when metal detecting had not taken off and there was less interest in coin collecting. The situation has changed, especially since the advent of ebay, and prices of hammered silver coins have increased despite the fact that more coins have now been found. Those thinking of starting a collection shouldn’t be put off; it’s possible to start a collection of coins from Medieval England without paying a fortune by visiting coin fairs and antique and collectors fairs as well as looking at dealers’ lists on the internet. The coins that I would suggest starting with are silver pennies from the beginning of the reign of King John to the end of the reign of Richard II. It is possible to find coins from between £30 and £40 covering this period of the Middle Ages. It must be noted that some monarchs’ coins are scarcer than others, but the collector can always opt for a coin in fine condition that is legible and have the option of replacing it with a better specimen if and when funds allow. The best coins available for the English Middle Ages are those of the reigns of Henry III and the Edwards, in particular Edward I.
Henry III coins are relatively common, both short cross and long cross coins, as Henry III was on the throne from 1216 to 1272. The best coins to go for to begin with are those from Canterbury and London and one can make a nice collection for not much money of moneyers from these mints. Edward I coins are even commoner and thousands have been discovered all over Britain in recent years by metal detecting enthusiasts. 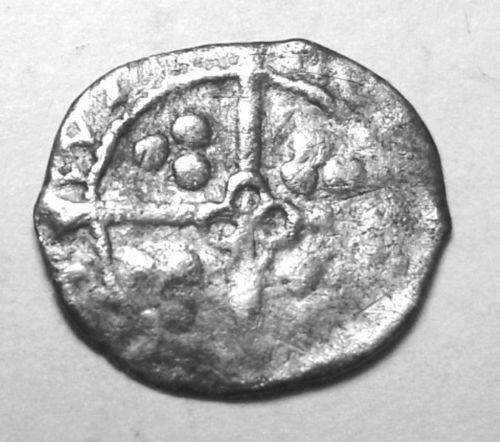 It is not difficult to pick up coins of this reign from Canterbury, London, York and Durham. Edward II coins fall into this category too. The wars that both Edward I and Edward II fought resulted in literally millions of silver pennies being struck. 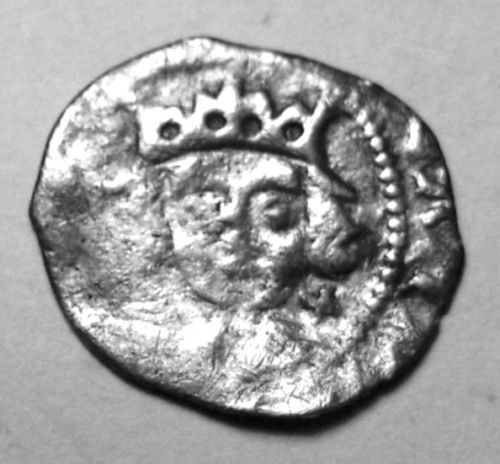 Silver pennies and farthings, in particular those of Edward I and Edward II, can also be picked up relatively easily since the discovery of these in recent years has made them more affordable. Groats and half groats are less easy to find at reasonable prices but those of Edward II and Henry VI are perhaps the best to go for. Later hammered coins can be picked up and the most commonly available are those of the reigns of Queen Elizabeth I (1557-1603) and James I (1603-1625). The sort of coin that one might get is a sixpence or a shilling of these reigns. Likewise Charles I shillings of the Civil War period can be bought for around the £35 mark. Scottish coins, especially from the Civil War period, can be picked up with luck but earlier coins are very expensive and highly sort after. Saxon coins tend to be above the ‘shoe-string level’ except for the copper sceattas struck in 8th century in the Northumbrian capital of York. Popular with many collectors are coins of the Crusades and examples can be purchased relatively cheaply, such as the French silver deniers from Toulouse or Tours which were used by the Crusaders even in the Holy Land. As for the Holy Land itself, coins of the Bohemond family from Antioch are available from around £15 and upwards; the same story also applies to coins of the French occupation of Greece after the collapse of the Byzantine Empire in 1204. Byzantine coins too are an interesting area for collecting and generally speaking there are plenty that can be purchased at a reasonable price from the 6th to 14th century. Finally, French, Spanish and Sicilian coins all provide a collector with the opportunity to build an interesting collection at relatively little cost and of great historical interest. There are a wide variety of books that are useful to the collector. A History of Medieval Coinage in Britain, published by the Greenlight Publishing company, is recommended, as is A Beginners Guide to Medieval Coins by Paul Torongo. The Spink catalogue of English coins is another must-read.